Rules: Fill the grid with digits from 1 to n so that each digit appears exactly once in every row and column. A digit in a circle is the sum of the digits which are marked with its arrow. Background: Japanese people are so talented in creating puzzle types. For example, Arrow Sudoku. Actually there are tons of Japanese puzzle types, and most of them are really great. You can check the JNPC 2007 puzzle types, mostly lovely types. I met this puzzle for the first time in 2007, after publishing instruction booklet of JNPC 2007. I didn’t prepare any until 2009. That year I was preparing Turkish Puzzle Team Selection puzzles, and I used it. If I remember correctly, all Sudokus were tested by Thomas. Also I chose some of them to build an online Sudoku competition. It appeared as “Turkish Online Sudoku Championship“. You can see the page, but links are broken. I’ll publish all puzzles here in a few days. Begining with 2009, I prepared it for some magazines, championships. 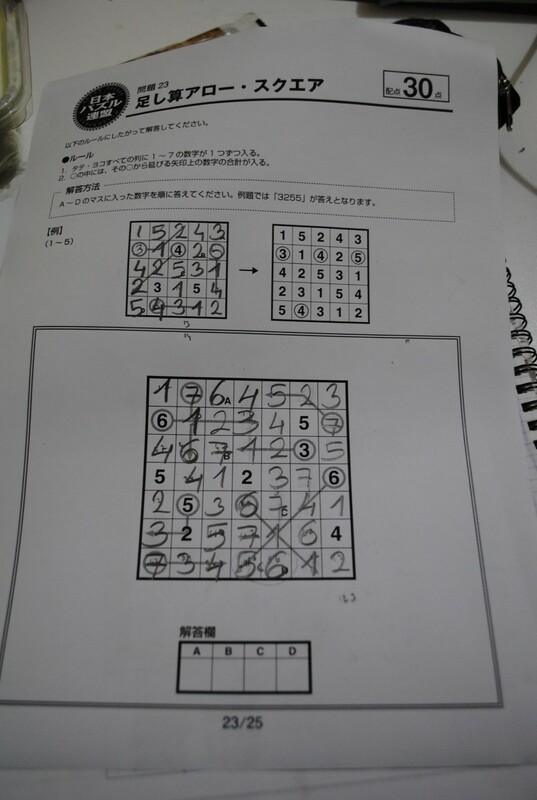 I thought that Arrow Sudoku first appeared in 2007, but I took a picture from JPC, 2006. 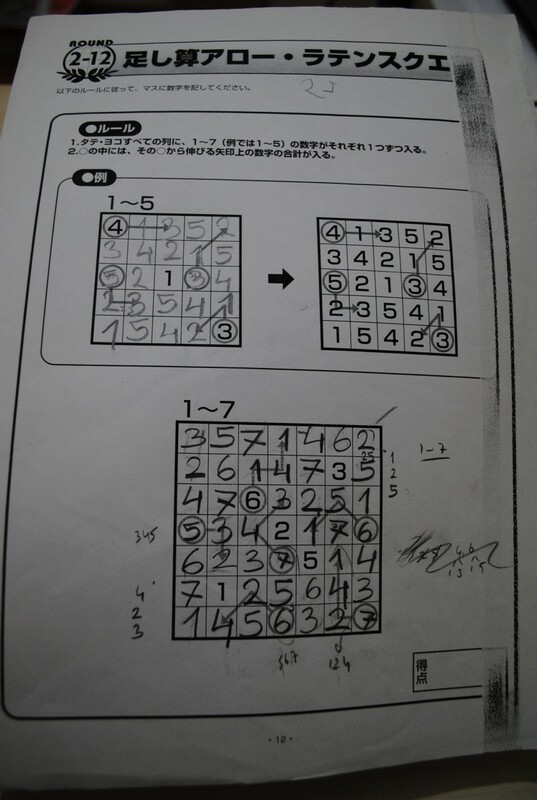 Arrow Sudoku pattern was used there, here is the original page from 15th JPC, 2006. The other page is from JPC 2010. Now Arrow Sudoku is one of the popular Sudoku types. Bu yazı Instructions içinde yayınlandı ve Arrow Sudoku, JNPC, JPC, Number Place, puzzle olarak etiketlendi. Kalıcı bağlantıyı yer imlerinize ekleyin. According to Snyder aka Dr. Sudoku, you need three sets of groups of cells that contain each number exactly once (read: row, column, 3×3 box, but can be changed like Irregular Sudoku). This only has two (row and column), so I prefer calling this Arrow Latin Square (as Arrow Sudoku is indeed used for the Sudoku variant, not the Latin Square variant). Meh just a random rant of the day. Feel free to ignore. I know. I wanted to point the origin of Arrow Sudoku, raw idea of it.